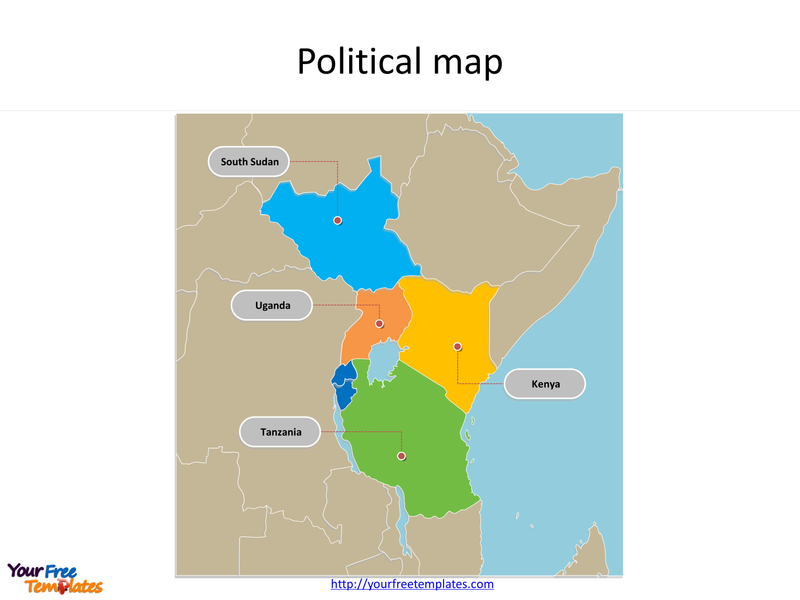 The Map of East African Community Template in PowerPoint format includes two slides, that is, the EAC outline map and EAC political map. 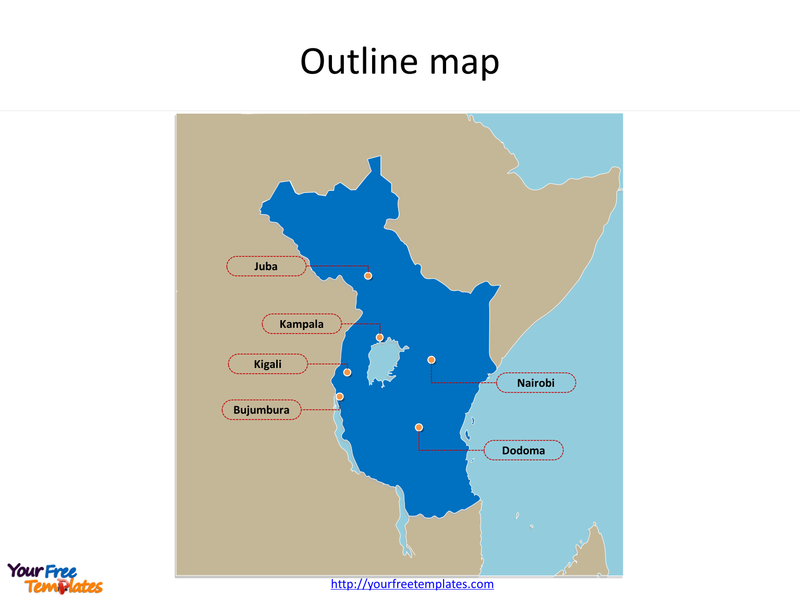 Firstly, our East African Community outline PowerPoint map has major cities on it, which are Nairobi, Dodoma, Kampala, Bujumbura, Kigali, and Juba. Secondly, there are 6 countries in our EAC PowerPoint map, highlighting the most important countries that are Angola, Tanzania, Zambia, and South Africa. The EAC PowerPoint map includes two slides. Our Map of East African Community (EAC) is an intergovernmental organization composed of six countries in the African Great Lakes region in eastern Africa. Firstly The EAC is a potential precursor to the establishment of the East African Federation, a proposed federation of its members into a single sovereign state. Secondly In 2010, the EAC launched its own common market for goods, labor, and capital within the region, with the goal of creating a common currency and eventually a full political federation. Thirdly In 2013, a protocol was signed outlining their plans for launching a monetary union within 10 years. The major cities in East African Community are including Nairobi, Dodoma, Kampala, Bujumbura, Kigali, and Juba. You can found them in our East African Community PowerPoint map. 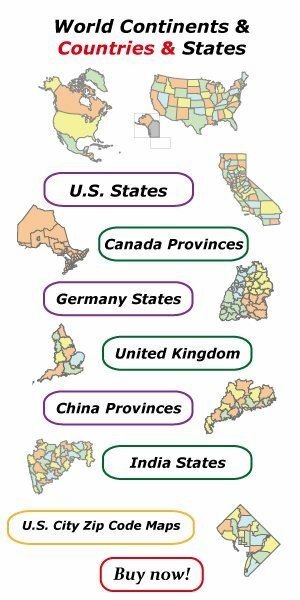 Slide 2, Map of EAC labeling with major Countries. It is noted that the Map of East African Community is the political division of there are 6 countries. Namely, they are Burundi, Kenya, Rwanda, South Sudan, Tanzania, and Uganda. We selected and highlighted the four most important countries; they are Kenya, South Sudan, Tanzania, and Uganda. What is more, every individual political subdivision is an editable shape. The labels and shapes are different groups of layers. In a word, you can change the texts, colors, sizes, highlight some map shapes, and add your charts. At the same time you can also refer to the detailed information on EAC in Wikipedia. The most important of all, analysts from marketing research companies, consultants from professional firms think highly of our website yourfreetemplates.com. Because our maps can help them reduce their efforts and create attractive maps.